PUNE: Activists have slammed the Pune Municipal Corporation (PMC) for grossly underutilizing Late Bindumadhav Thackeray hospital in Kothrud, a major portion of which has been lying unused for over seven years now. Inaugurated in December 2011, the hospital is spread over an area of 12,500 sq.ft. It was built to cater to the population in Kothrud and Karvenagar. “Only three rooms at the six-storey hospital building are functional in the form of small dispensary as of now,” health activist Abhijit More said, adding that it was a massive wastage of taxpayers’ money. He said different political parties were in power during the last seven years, but none paid any attention to the hospital. “It shows gross apathy of corporators and administrators to the people’s needs,” More added. The civic administration’s often-cited excuse of ‘lack of skilled manpower to run the facility’ has also drawn the ire of residents and activists alike. “Corporators and civic administration are only interested in proposing and building hospital buildings. For a change, why can’t they plan about arranging the manpower beforehand?” More asked. 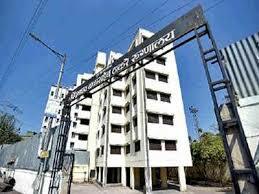 An activist said, “The Bindumadhav Thackeray hospital is a glaring example of the rot in the PMC’s governance. We have demanded probe into this matter, after which the guilty should be punished.” The activists have also condemned the civic authorities for lack of facilities at Sutar maternity hospital in Kothrud. “The PMC-run Sutar maternity hospital has no facility for delivery through Caesarean section (C-section),” they said. Other activist said it was a paradox that a maternity hospital equipped with an operation theatre does not have a C-section facility. According to World Health Organisation, 10 to 15% deliveries require C-section for various complications. “At Sutar maternity hospital, pregnant women are shifted to the state-run Sasson Hospital for C-section in case of emergency. The Sassoon hospital is already overcrowded,” More said. In the absence of proper facilities, people are forced to spend Rs 20,000 to Rs 60,000 at private hospitals, which takes away their precious savings. “Sometimes, they have to take loan to pay bills of private hospitals,” Uttam Jadhav, a Kothrud resident, said. The civic body can’t afford to have unused hospital buildings, considering that about 40% of the city’s population lives in slums, and they are in dire need of affordable medical care. The PMC can tap into the corporate social responsibility funds to pay the salary packages of specialists required for its hospitals. Availability of more public health care facilities will also reduce the burden on Sassoon hospital and improve the quality of medical care.